The various training programs outlined in the chart are offered by OICO at Roswell Park. 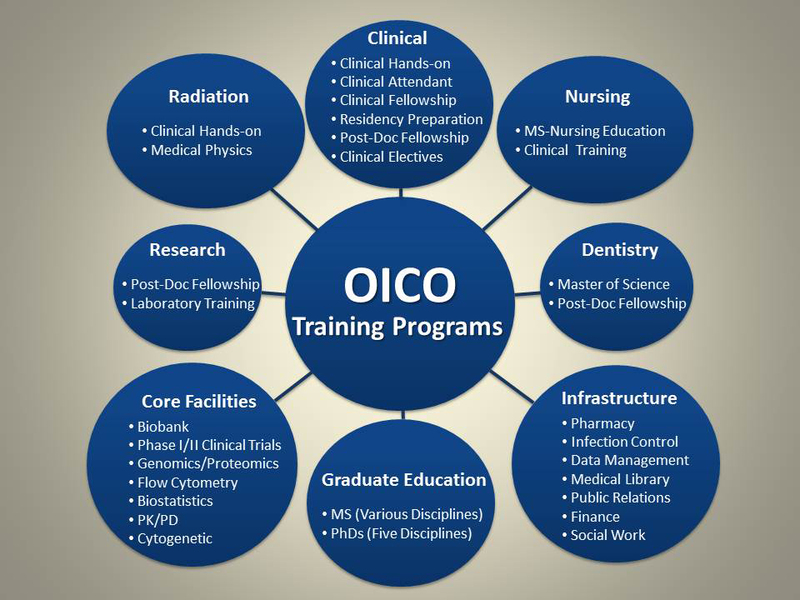 Similar training programs can be offered in medical specialties other than oncology in collaboration between Roswell Park-OICO and other U.S. medical centers/hospitals. Candidates, who will be trained in non-oncology specialties, will be enrolled into these U.S. centers through RPCI-OICO. The training program in these non-RPCI centers will depend on the ability of these centers to issue the appropriate types of training visa.